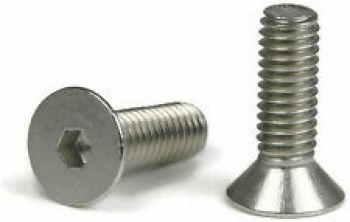 Stainless flat head hex head screw. Length measured from flat screw head to screw tip. See picture two for example.